Ever since winning the Republican nomination, the majority of President Donald Trump’s companies’ real estate sales have gone to shell companies that conceal the buyers’ identities. 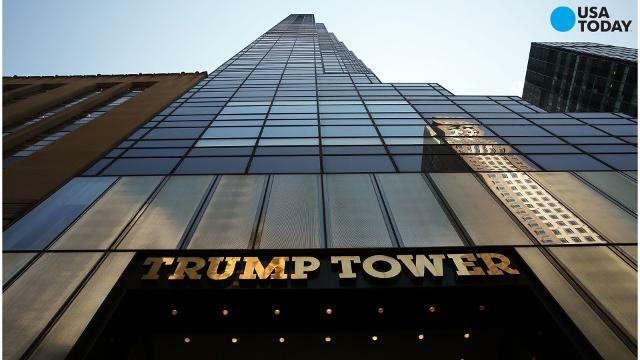 Since President Trump won the Republican nomination, the majority of his companies’ real estate sales are to secretive shell companies that obscure the buyers’ identities, a USA TODAY investigation has found. Over the last 12 months, about 70% of buyers of Trump properties were limited liability companies – corporate entities that allow people to purchase property without revealing all of the owners’ names. That compares with about 4% of buyers in the two years before. USA TODAY journalists have spent six months cataloging every condo, penthouse or other property that Trump and his companies own – and tracking the buyers behind every transaction. The investigation found Trump’s companies owned more than 430 individual properties worth well over $250 million. Since Election Day, Trump’s businesses have sold 28 of those U.S. properties for $33 million. The sales include luxury condos and penthouses in Las Vegas and New York and oceanfront lots near Los Angeles. The value of his companies’ inventory of available real estate remains above a quarter-billion dollars. The increasing share of opaque buyers comes at a time when federal investigators, members of Congress and ethics watchdogs are asking questions about Trump’s sales and customers in the U.S. and around the world. Some Congressional Democrats have been asking for more detail about buyers of Trump’s domestic real estate since USA TODAY’s initial report. Their concern is that the secretive sales create an extraordinary and unprecedented potential for people, corporations or foreign interests to try to influence a President. Anyone who wanted to court favor with the President could snap up multiple properties or purposefully overpay, without revealing their identity publicly. The real estate cache, which Trump has never fully revealed and is not required by law to disclose, offers unique opportunity for anyone to steer money to a sitting President. The increase in purchasers shielded by LLCs makes it far more difficult to track who is paying the President and his companies for properties ranging in price from $220,000 to $10 million – or more. The clear post-nomination shift since last year to more shell-company purchases is unique to sales by Trump’s companies, even in his own towers and neighborhoods. 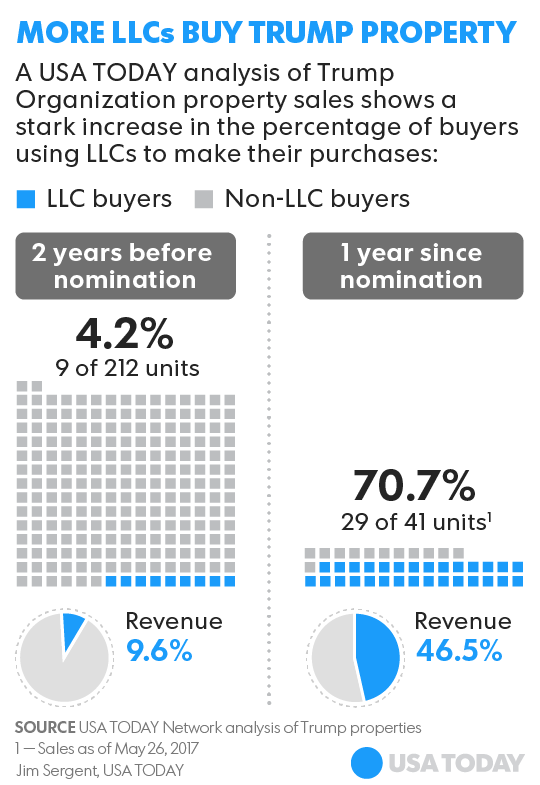 Condos owned by others in the same buildings, and sold during the same time period, were bought by LLCs in no more than 20% of the transactions. In some areas, the share was far less. “If what’s going on is somebody is buying something from The Trump Organization to buy favor, there’s no way you’d ever figure out who that person is or what favor they’re trying to buy,” said Jack Blum, a Washington attorney specializing in offshore tax evasion and financial crime and former staff lawyer for two U.S. Senate committees. The reason for the shift is unclear. The White House refers all questions about Trump’s businesses to The Trump Organization, which would not answer questions about the sales. Experts in real estate and corporate law say there are many reasons to create an LLC and use it to buy property. Some buyers, including celebrities, foreign political dissidents and even police officers, may use them to protect privacy. Investment groups use them to purchase properties in partnership. There are more nefarious reasons to use LLCs, including to illegally hide assets, shield profits from taxation and launder drug money or funds embezzled from a foreign company or government. Even when LLCs are used legally, they can hide the identities of the buyers. USA TODAY found no sales by Trump’s companies that were obviously above the market rate, based on analysis of comparable properties in the same buildings and neighborhoods. In Las Vegas, condos sold by Trump’s companies sold within a few dollars per square foot of other resellers’ units in the building. Prices were near flat, moving up $6 per square foot since Trump took office compared to before he announced he was running. In New York, the tiny number of sales and uniqueness of each skews comparisons. Two were below-market sales by Trump to his son, Eric. The two since the election are at opposite ends of the spectrum. One $16 million deal was a short sale of a penthouse at Trump Park Avenue. At $3,800 per square foot, it sold in the low end of the range of a dozen comparable units in its Manhattan neighborhood. A smaller $2.5 million condo at Trump Parc East, at $3,085 per square foot, was at the high end of the range for 47 recent sales of comparable condos in the area. The Trump Organization announced in January that a new corporate ethics officer would screen all real estate deals to prevent conflicts of interest. Neither the company, nor the ethics lawyer, would discuss on the record its screening process, specific deals or buyers’ identities. Sen. Sheldon Whitehouse, a Rhode Island Democrat on the Senate Judiciary Committee investigating the Trump campaign’s contacts with Russians during the 2016 election, raised concerns about the source of funds, considering Trump’s history with foreign investors in his development projects. USA TODAY used corporate, financial and other records to track down 18 officers and other people related to 17 LLCs that bought Trump properties since last May. Six spoke to reporters; 10 did not respond to calls or other attempts to reach them. One who responded did not want to discuss his purchase and another hung up on a reporter asking questions about a recent purchase. Tracking down the people behind 2 L Nevada LLC shows how difficult it can be to determine who is paying Trump. The LLC paid a half-million dollars for two condos in the President’s shimmering golden tower near the Las Vegas strip in April. The only person identified for the buyer in public real estate records is the lawyer for the company. In incorporation papers, 2 L Nevada lists one officer — another LLC with an address at a Vancouver mail drop being used by as many as a dozen Canadian companies. USA TODAY reporters scoured public records to identify the names of every company and person using the mail drop address in Canada, and eventually found the buyer. Brian Lovig of Kelowna, British Columbia, the conservative blogger behind 2 L Nevada LLC, said he had nothing to hide. It’s an investment, and he said his family used an LLC on the advice of their trust’s manager. He said he didn’t think any buyer could influence the President via real estate purchases. “Buying a few units in a hotel isn’t going to make the President jump circles,” Lovig said. In fact, Trump attorneys have argued that same point, saying profits from individual real-estate sales route through a maze of subsidiaries and eventually become mixed in a large pool of undifferentiated money in the trust. That, they say, makes a conflict from an individual sale difficult to imagine. Another entity using LLCs to deal in luxury Trump real estate is the Black Tulip Organization, a French-owned investment firm with offices in New York and Miami. Records show Black Tulip provided the money behind the purchase of two of Trump’s Vegas condos during the election, and three more since Election Day – using five different LLCs. Public records tie the $1.3 million worth of purchases to Benoit Pous Bertran, a French national, who said he was not trying to hide his firm’s identity with shell company names like “JOYP Holdings” and “Galiz Holdings.” Rather, Black Tulip was using the routine protections of a LLC. He said the purchases are not aimed at gaining attention or influence from Trump. “This is one of the few buildings in Las Vegas where you can buy hotel condominium units, which is why we purchased there. I’m not too into politics and I’m not even a citizen. I’m French,” Pous Bertran said. Black Tulip, which Pous Bertran said has invested in other Trump projects, runs a real estate investment fund it has said is bankrolled by investors around the world, including Brazil and Russia. 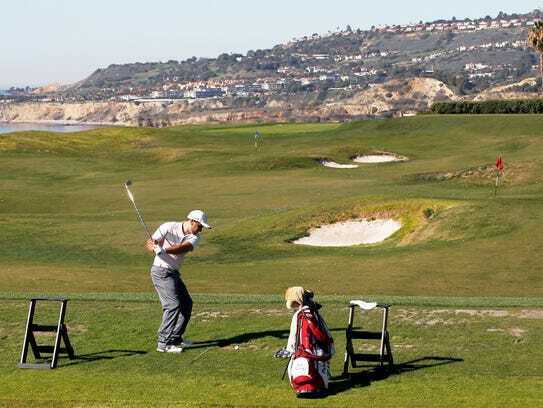 At Trump National Golf Course near Los Angeles, the President’s company sold a pair of oceanfront lots to LAT Homes LLC and Author Homes LLC in April. The two companies trace to one address, a house on the same street. The LLCs are incorporated in Michigan by a Bangladesh-born author and investor who owns a mansion adjacent to the lots. Subir Chowdhury said his deal was motivated by a desire to develop the oceanfront properties, not politics. Chowdhury buys high-end lots and develops luxury houses, and he says he likes working with The Trump Organization. “My experience, not only with Mr. Trump but the Trump Organization, is stunning — literally stunning experience. Brilliant. Because of the professionalism,” he said. Chowdhury, a management expert who has written 15 books including several bestsellers, negotiated an earlier land buy in the Rancho Palos Verdes neighborhood with Trump over Twitter back in 2013. Chowdhury’s companies paid Trump $3.8 million and $2.4 million for two lots this year. Per square foot of ground, that is about twice what others paid for lots on the same street. He said the premium reflects the lots’ much-better views of the Pacific Ocean. 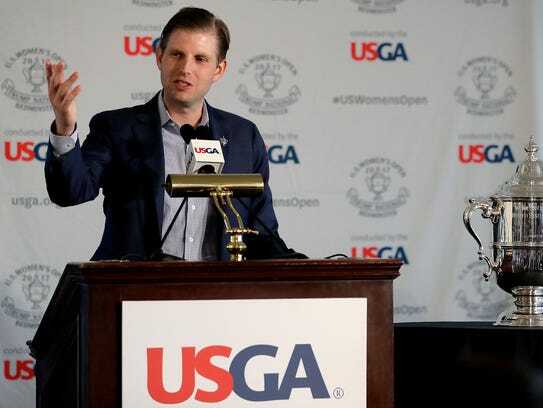 Even though he tweeted a picture of Eric Trump, thanking him for visiting his family’s home, weeks before the sale, Chowdhury repeatedly asked a reporter not to reveal his purchase. This entry was posted in Emoluments, Real Estate, Russian connection, Trump. Bookmark the permalink.